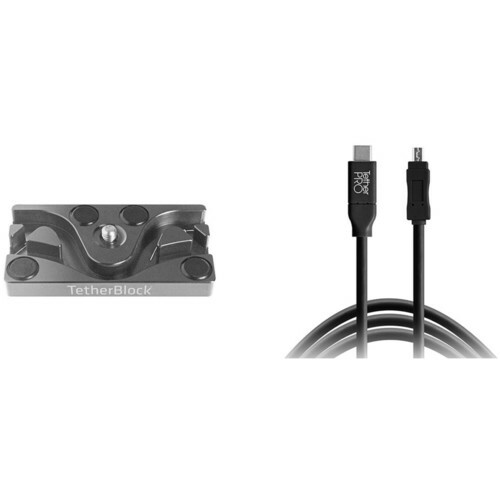 This B&H Kit includes a Tether Tools TetherPro USB Type-C to Mini-USB 2.0 Type-B Cable and a TetherBLOCK Multi-Cable Mounting Plate. Capable of transferring data up to 480 Mb/s, the TetherPro 15' USB Type-C to mini-USB 2.0 Type-B cable can connect your compatible camera to a laptop, ideal for proofing photos on the laptop's display. 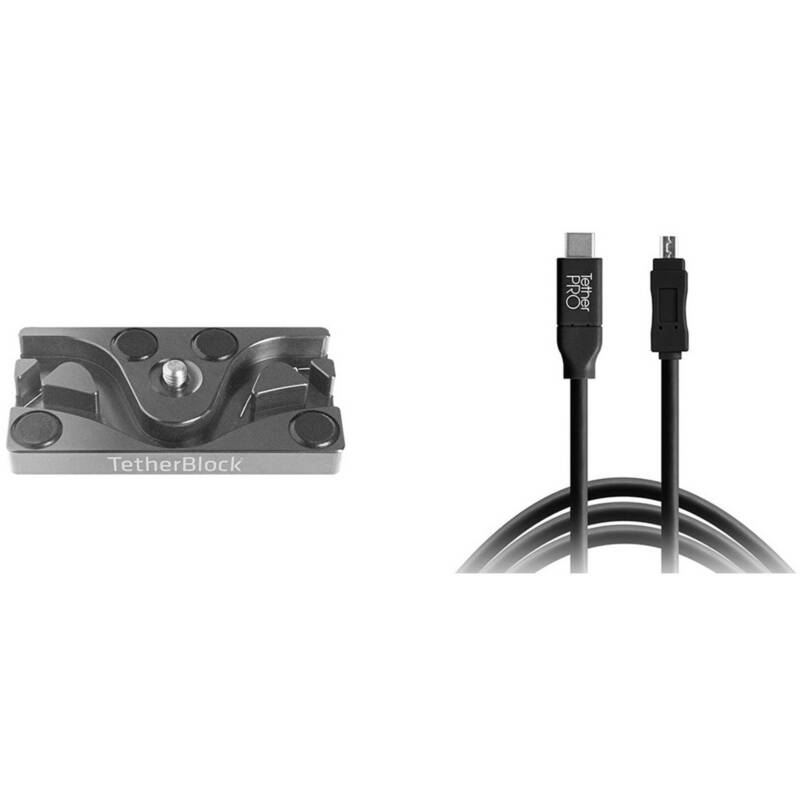 The included TetherBLOCK Multi-Cable Mounting Plate is compatible with 1/4"-20 & 3/8" tripod mounts, and its S-channel can help prevent damage to your camera and its data ports from trips and accidental cable yanks. With this black, 15 ft long Tether Tools TetherPro USB Type-C Male to 8-Pin Mini-USB 2.0 Type-B Male Cable, you can connect a camera, smartphone, or other USB Type-C device to a computer, for the purposes of transferring data. This cable supports USB 2.0 for data transfer rates of up to 480 Mb/s. If you connect a camera to a laptop and your camera is compatible with tethering, you can use this cable to help increase productivity during photo shoots. Rather than proof images on your camera's small LCD, they are sent directly to a notebook's larger, hi-res display. Seeing images in this way helps to review them for slight imperfections that you may have otherwise missed. To help enhance performance, this cable is fully shielded and plated to help minimize signal interference. Please Note: this cable is designed to be used for data transfer only, and not for charging devices. Box Dimensions (LxWxH) 10.0 x 7.0 x 2.0"